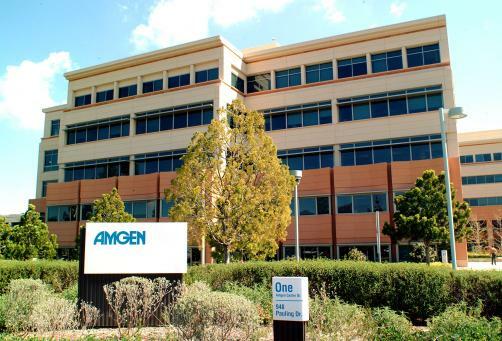 Amgen has unveiled new Phase 3 data for its biosimilar version of Johnson & Johnson’s Remicade (infliximab), confirming that it demonstrated non-inferiority compared to its reference product in the treatment of moderate-to-severe rheumatoid arthritis. The candidate, known as ABP 710, met its primary endpoint, which compared the response difference measured by 20% or greater improvement as defined by the American College of Rheumatology (ACR) Criteria after 22 weeks of treatment. However, based on this, it could not be determined whether the candidate was superior to its reference product. The anti-tumor necrosis factor alpha (anti-TNF) monoclonal antibody Remicade is one of J&J’s top-selling drugs, and is approved for a range of indications including moderate-to-severe rheumatoid arthritis, chronic severe plaque psoriasis, moderate-to-severe Crohn's disease, moderate-to-severe ulcerative colitis, psoriatic arthritis and ankylosing spondylitis. "We believe this study confirms no clinically meaningful differences between ABP 710 and infliximab," said Dr Sean E Harper, Executive Vice President of Research and Development at Amgen. "Biosimilars are approved based on the analytical, nonclinical and clinical data, and we believe that the totality of the evidence we've generated supports ABP 710 as highly similar to the reference product." Based on this new data, Amgen announced that it would now proceed to obtain regulatory approval from regional regulators. ABP 710 is one of 10 biosimilar candidates in Amgen’s portfolio, two of which have secured US approval and three that are authorised for sale in Europe.